Posted by grhomeboy in Movies Life Greek, Transport Air Sea Land. A Taxi Odyssey is proud to have writer/actor Nia Vardalos (My Big Fat Greek Wedding, Connie and Carla) as an executive producer. Find out in A Taxi Odyssey, the hilarious and insightful feature length documentary that takes an in-depth look into a culture that abides by its own rules. Experience what makes this taxi culture tick and behave the way they do. Just when we thought the story was over… Charm school has now finally begun for the infamous taxi drivers of Athens, and director Alexia Haidos will be journeying back to Greece in July to revisit the stars of her documentary and capture their adventures in behavioral class. This is footage that can’t be missed! We’ll be back in the States next month with more news! Posted by grhomeboy in Food Recipes, Greek Taste World. Specialising in European and Mediterranean cuisines, Greek chef Nikolaos Lekkas brings new dishes to the Caravelle’s Reflections Restaurant. Among the chef’s latest creations is pan-fried duck liver medallions with peach and raspberry salad. The dish offers more than just an enticing smell and look, thanks to added elements of fresh peaches, raspberries and raspberry vinegar. Preparation is simple and doesn’t take much time. It can be served as a warm appetizer. Mix the raspberries, olive oil and fresh peaches with raspberry vinegar. Season the duck liver with salt and pepper. Pan-fry in a hot, nonstick pan without oil since the duck liver will have enough oil content. Cook medium well, take out of the pan and place on a paper sheet to absorb some of the oil. Place on the peach salad in the centre of a warm plate, place the warm duck liver on the top and spoon some of the duck gravy around it. The dish is served for dinner at the hotel’s Reflections Restaurant, 10 Lam Son Square in HCM City, District 1. For reservations, call (08) 834-9999. Posted by grhomeboy in Hellenic Light Americas, Technology. MIT students used a sheet of metal and car parts to invent a tool that generates electricity, heats water and cools food. With $100,000 from the World Bank, the Massachusetts Institute of Technology graduates will push ahead with building their solar-powered invention. 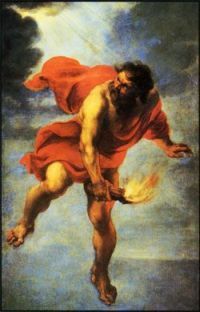 In Greek mythology, Prometheus steals a spark of fire from Zeus and flies down the mountain to ignite all kinds of good for mankind. In reality, MIT students are trying to do the same thing with their new business venture ‘Promethean Power’. The idea behind Promethean Power came from Matthew Orosz, a former peace corps volunteer in Africa, who wanted to provide electric power, refrigeration and hot water to poorer nations. He and fellow graduate students designed mirrors to focus sunlight onto tubes filled with coolant. The hot coolant then turns to pressurized vapor, which turns a turbine to make electricity. The leftover heat can be used to warm a tank of water and to run a refrigerator or an air conditioner using a gas-absorption process that chills liquid ammonia by first heating it. The invention relies on car components so that the system does not require pumps and coolant condensers that are hard to obtain and maintain in poor countries. As well as electricity to run lights, the chemical refrigerator could be used to preserve food and the leftover heat would deliver hot water. The inventors won $10,000 for their impressive business plan when they entered MIT’s annual entrepreneurship competition. The team behind the tool believe they can sell ‘carbon offsets’ on global energy markets because the invention produces power without adding greenhouse gases to the earth’s atmosphere. The students also admit the system is far from ready for commercial use. As the tea-time bells of Glasgow University peal out, there’s a sense of civic foreboding surrounding Theatre Found’s open-air production of Sophocles’ Greek tragedy, here seen in Robert Fagle’s 1984 verse translation. Because, while the fun-fair noises of The West End Festival blow across Kelvingrove Park and a junior disco dancing championship at the Kelvin Hall leads a queue to the ice-cream van, Antigone is revealed as the perfect outdoor play. Antigone explores the consequences of bad political decisions, as the feisty sister of the slain Polynices attempts to bury her dead with dignity. As the emperor Creon condemns Antigone herself to death, despite being betrothed to his son, Haemon, Creon’s only legacy is the blood on his hands. More pertinent to the Sunday strollers is an instant recognition of how private tragedies spill out of such follies, watched over by the contemporary masses as they might idly skim over a weekend tabloid’s revelations of another ministerial scandal. It’s a shame, then, that Carrie Westwater’s production, performed largely by graduates of Langside College without the range to deal with the elements, doesn’t take such intrigue in high places any further. After a promising opening, whereby a Messenger hands out flyers to the audience declaring the state of play on stage, performances which aren’t blown away end up unnecessarily overwrought. A more intimate studio setting would obviously have left things less exposed. Then again, it would have also lost out on a natural big-city ambience that not only tolled Antigone’s life away, but gave way to early evening sirens that readily suggested what happens next. A retired couple who built their “dream” holiday villa on disputed land in Turkish military controlled and occupied north area of the Republic of Cyprus face a new legal struggle after their test case was referred to the European Court of Justice. Top judges in London ruled that the crucial European Union law issues raised by the case of Linda and David Orams can only be resolved by the court in Luxembourg. Mr and Mrs Orams face claims that, although the northern part of the Republic has been occupied by the Turkish army since July 1974 as a result of Turkey invading Cyprus, the site where their villa stands still rightly belongs to a Greek Cypriot refugee who was chased off his land by the Turkish invasion. The couple’s case is of vital importance to hundreds of British people, many of them retired, who have made their homes in the occupied and Turkish military controlled north area of the Republic of Cyprus and whose holiday homes will be under grave threat if Greek Cypriot, Meletis Apostolides, who is the rightful owner of the land, wins his case. Mr and Mrs Orams were jubilant in September last year when top judge, Mr Justice Jack, ruled that judgements obtained against them in Nicosia, which threatened both their sunshine villa and their home in Hill Drive, Hove, are not enforceable in the English courts. The couple’s lawyers had described the High Court ruling as a “total vindication”. However, Mr Apostolides, whose family owns the former lemon grove on which the villa stands prior to the Turkish invasion and effective occupation of the island, is now set to argue his case before the European Court of Justice in a process which could take months, if not years. The Lord Chief Justice, Lord Phillips, and two senior colleagues accepted Mr Apostolides’ plea that no English court could resolve the case with certainty and that could only be done in Luxembourg. Mr and Mrs Orams paid £50,000 for the land which is rightully owned by Mr Apostolides, and spent another £160,000 on constructing their luxury villa, complete with swimming pool. The retired couple “bought” the land from a Turkish settler in the occupied north area of the Republic of Cyprus, but Mr Apostolides, whose first approaches to the Orams had been always friendly, last year won judgements from a Nicosia court, proclaiming him the land’s true owner. Mr Apostolides presented to the court all necessary deeds of rightful ownership. The ruling left the British couple facing up to paying Mr Apostolides substantial compensation or demolishing their home and returning the land to him. The self-proclaimed and illegal regime of the Turkish occupied and military controlled north area of the Republic of Cyprus is recognized only by Turkey. The Greek-Cypriot Government of the Republic of Cyprus is internationally recognized. He wowed the crowds with his smoldering glances and smooth rocker moves on “American Idol” in 2005. Now Constantine Maroulis will take the stage twice during Opa Fest 2007, “A Night in Athens,” on the grounds of St. Nicholas Greek Orthodox Church in Troy. The event runs Friday through Sunday, June 22-24. Maroulis will perform for free at 7 p.m. Saturday and 3 p.m. Sunday. This year, about 10,000 people in three days are expected to attend the festival at the church at 760 W. Wattles Road in Troy. Last year, 6,000 attended, said Pam Nikitas, the festival’s spokeswoman. She noted about 45,000 Greeks live in Southeast Michigan. Patti Chalker remembers the early days of the Opa Fest 14 years ago. She estimated 1,000 may have attended over the three days of the festival on church grounds. “Parishioners would cook in food tents out back,” said Chalker, St. Nicholas’ church secretary. Now, with an new enclosed cultural building, the cooking has moved indoors. As in the beginning, parishioners make the food served at the festival, including the luscious galaktoboureko, a traditional Greek dessert made with a custard in a crispy phyllo pastry shell and drizzled with honey. Other highlights include 200 dancers performing in authentic Greek costumes and the Greek band Levendes. Visitors are encouraged to dance, and people will be on hand to give instructions in Greek dancing. For the first time, a Greek folk art exhibit will be on display. “John Korachis, a Detroit attorney, has lent us this collection, handmade pottery, icons and artifacts from Greece, it should be outstanding,” Nikitas said. A variety of Greek wines will be available in the wine-tasting area. A Greek marketplace will be open to shoppers. Games and rides will be available for children. Posted by grhomeboy in Education, Hellenic Light Americas. At a Park Slope elementary school on Brooklyn’s Fifth Avenue, popular book bag themes include Mickey Mouse and Dora the Explorer. “Norbit” is a favorite film. The preferred morning greeting on a recent Thursday: Kalimera. At the Hellenic Classical Charter School, Modern Greek, in which kalimera means “good morning”, is a required part of the curriculum. As one of the 11 culturally themed charter schools to open in the city since 2002, so are Greek history, Greek traditions, and even Greek dance. The Hellenic School offers a glimpse into how such a balance can play out. Parents praise a rigorous curriculum that will eventually teach Latin as well as Modern Greek, while concerns that the school might be too closely tied to the Greek community have plagued its charter application. Funds from Greece directly pay the salaries of five teachers, an in-kind donation worth $275,000 this year, and a Greek Minister of Education helps develop curricula, the Chairman of the school’s board, Charles Capetanakis, said. The school’s relationship with a Greek parochial school has been even more polarizing, nearly jeopardizing Hellenic’s charter application in 2004. The school, Soterios Ellenas, shares the building with Hellenic, and several students and teachers who had been at the parochial school have transferred to the charter school. Soterios Ellenas’s priest, Father Damaskinos Ganas, has no formal relationship with Hellenic, but educators there refer to him as Hellenic’s “spiritual leader”; on a recent visit students waved enthusiastically when he passed them in the hall. Hellenic’s leaders steadfastly defend their cultural model. Not only is the school inclusive, just 30% of the students are Greek; 50% are African-American and 15% are Hispanic, according to its director of operations, Joy Petrakos, it also produces results. This year, 92% of third-graders met state math standards, compared with 82% citywide, according to state data. Benefits to Greek families are the most straightforward. A parent, Irene Misiriotis, said she feels lucky her son, Kostas, can get a Greek education without having to endure Saturday school. Kostas, one of several students to transfer from Soterios Ellenas, said he enjoys the extra resources: a stronger English program, computers that work, and textbooks that don’t have the answers scribbled in. School leaders say non-Greek children also benefit. Rayhana Alhanafi, a second-grader who is African American and Muslim, felt bored at her neighborhood public school. At Hellenic, instead of lessons on 5+5 = 10, “kindergarten stuff”, she was working on three-digit subtraction. She also can recite the numbers in Greek, and she talks knowledgeably about the gender politics of ancient Athens, such as whether girls could attend school. Hellenic administrators and parents say their school may not be the last with a Greek theme. Community leaders in Queens and the Bronx, they say, have expressed interest in applying for their own charters.